Three local IB World Schools in Maryland, US, have teamed up and tapped into their creative talents to address the topic of homelessness, hunger and poverty. 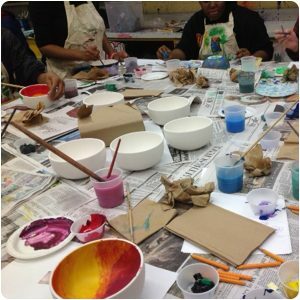 IB Diploma Programme (DP) students at Parkdale High School worked with Crossland High School and Frederick Douglass High School to make and paint ceramic bowls to support The Collaborative FBCOG. The organization helps to identify issues of food scarcity, connect families with humanitarian services and provide health and wellbeing support to those in need. Students will later auction the bowls and hope to raise USD$5,000 for The Collaborative. Funds to buy the materials and feed volunteers were provided by a grant through Youth Service America volunteer organization and a partnership with creative education company Artworks Now. 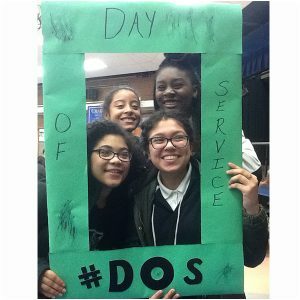 For the past five years, the schools have collaborated on Martin Luther King (MLK) Day of Service. 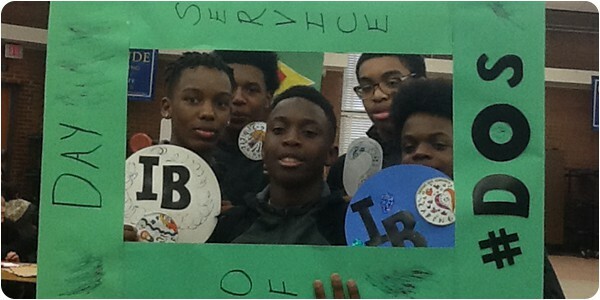 Over the years, Parkdale students have delivered outreach activities with National Coalition for Homeless organization, volunteered at homeless shelters and hosted a ‘World Café’, which encouraged involvement from the local community and raised awareness around affordable housing.